Constant water cuts at the town of Rundu in Namibia are angering the town’s residents. So much so, they are forced to wake up in the middle of the night to fill up their water containers for use during the day. This is because taps run dry by morning and sometimes lasts all day. This is despite the fact the Kavango River from where the town sources water is within walking distance. The water crisis in Rundu has lasted for several months now with no end in sight. Furthermore, it seems to be getting worse with each passing day. Understandably so, this situation has since stirred discord among residents as the water crisis affects their daily activities. This is because only a few households and some businesses can afford reservoir tanks. Reports suggest that the town council is to blame for the situation. According to Daniel Langhart, the council is allegedly failing to buy enough prepaid units of water. Residents are now forced to flock to the river to bath or fetch water. This is even with the fact that they always paid their water utility bills with the town council. Acting CEO of Rundu, Mathews Naironga, said that NamWater are to blame. He added that this is because the utility is apparently unable to meet the town’s water needs. According to him, the volume of purified water NamWater pumps to the town is small and only suburbs that are close to the reservoirs get most of the water. This means the rest of the locations that a re considerably far from the same suffer.. 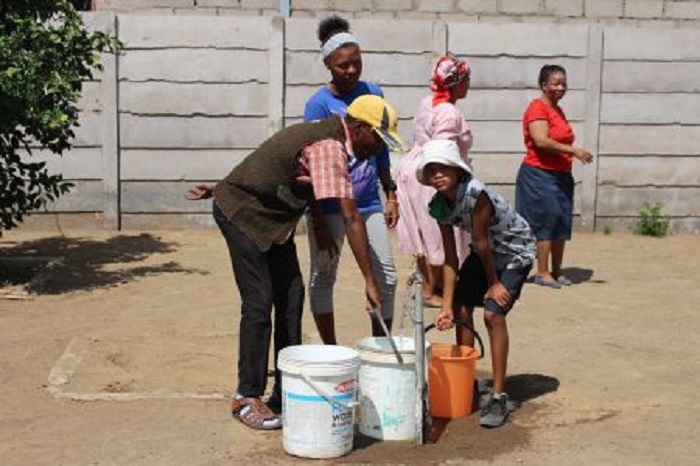 The acting CEO emphasized that the biggest problem is that NamWater is purifying very little water for the town while “the demand is too high”.